Nancy Chemtob practices in all areas of family and matrimonial law. 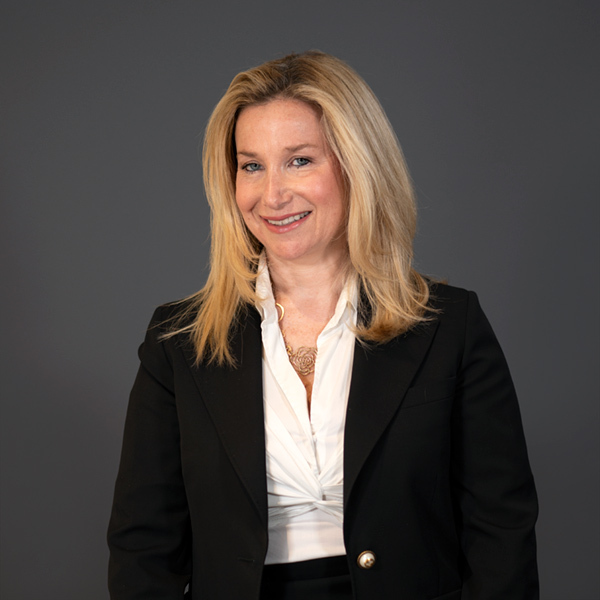 While her primary goal is to negotiate and secure fair and advantageous settlements for her clients, Nancy has significant litigation and trial experience in New York’s Family and Supreme Courts and has briefed and successfully argued before New York’s Appellate Courts. Among her reported complex and high stakes cases is Assini v. Assini 11 AD 3rd 417, 783 NYS 2d51 (2nd Dept 2004), an appellate case in which Nancy successfully argued a motion upholding a lower court’s decision to grant a father custody of his son without a hearing. In Papadopoulos v. Papadopoulos 3 A. D. 3d 385, 771 N. Y.S. 2d 81, 2004 N. Y. (1 Dept. ), January 15, 2004, she also successfully appealed and overturned a trial court’s decision requiring a wife to pay a tax obligation. Nancy also successfully defended a wife’s significant interim support award. Papadopoulos v. Papadopoulos 301 A. D. 2d 391, 752 N. Y.S. 2d 860, 2003 N. Y. Slip Op. 10129, N. Y.A. D. 1 Dept., January 09, 2003. Nancy has lectured on family and matrimonial law topics. Nancy was a faculty member at the National Business Institute CLE on Complex Issues in Divorce for the New York Practitioner. She lectured on equitable distribution, including the division of retirement benefits, insurance and inheritance issues, liability division, spousal maintenance, the validity of prenuptial agreements, and a lawyer’s ethical responsibility during a matrimonial matter. She has also lectured on trusts and estates. Nancy has been called as an expert to testify on New York State Matrimonial Law in Los Angeles Superior Court. She has also appeared in New York Magazine where she commented on negotiating prenuptial agreements as well as on “summer house custody issues” in New York Daily News where she discussed no-fault divorces (she also authored an opinion editorial on the same subject for the New York Daily News). Nancy has also appeared on CNBC, ABC, CBS, New York One, where she discussed Pre-nuptial agreements and issues involving off-shore trusts, and has been asked for her opinion on forensic accounting for Long Island’s Newsday, and other television programs as an experienced Matrimonial Law attorney. Nancy is a member of the New York State Bar Association (Family Law Section); American Bar Association (Family Law Section); New York County Lawyers Association; and the Association of Trial Lawyers of America. She is also co-founder of Friends of Newborn Medicine which was created to support the Jo Carole and Ronald S. Lauder Newborn Intensive Care Unit (NICU) at the Mount Sinai Hospital and a member of Art for Life. Nancy is also listed in the Madison Who’s Who Directory.